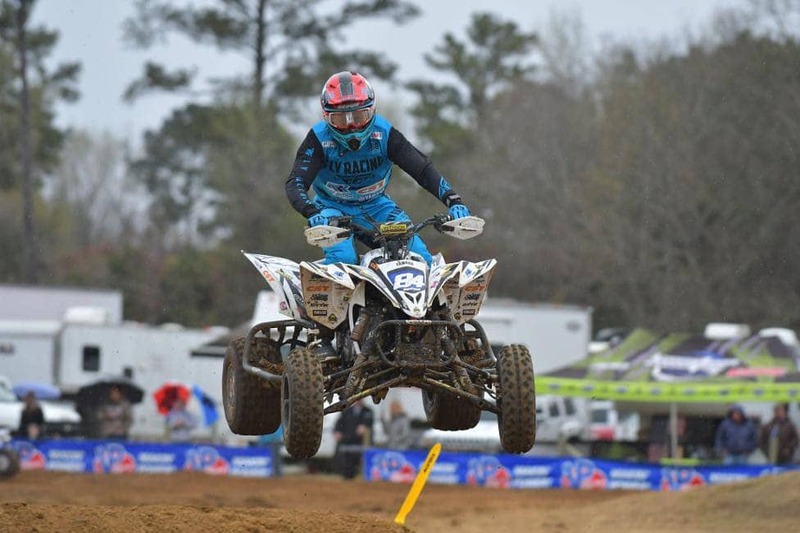 We had a double feature this weekend for our CST Athlete Spotlight, and both riders took on Loretta Lynn this weekend for the ATVMX championship. Fellow spotlight athlete Nick Gennusa took 4th for the day and 5th overall in the Pro class, while Brown finished 2nd for the day and placed 3rd overall. Thomas Brown has been focused on his dream of professional racing since he was a child, and he’s been racking up wins ever since. 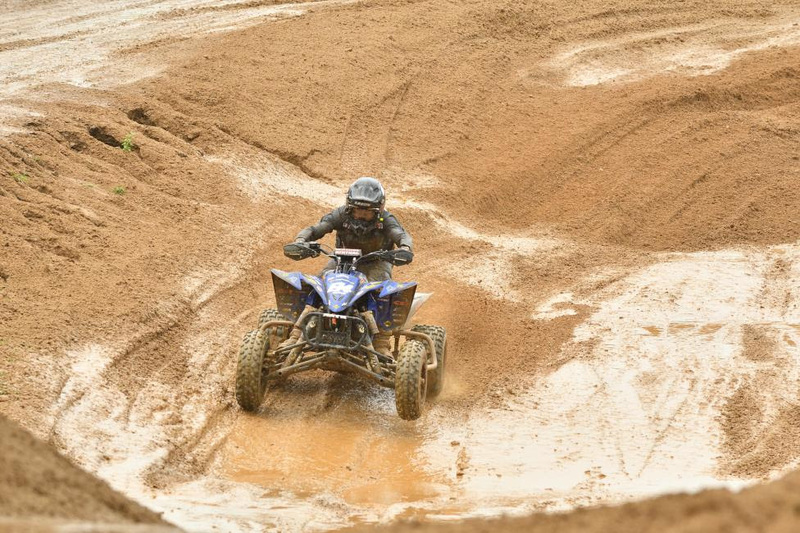 His current training schedule combines work ethic and unbridled passion as he hauls his ATVs cross-country in his truck…searching for the next great challenge. We find out just what it takes to make it to the top. Dirt Wheels: When did you start racing and why? What was the first thing you raced? Brown: I started racing when I was 10. We rode trails my whole life and we were at a local riding area and they had a XC race going on and asked if I wanted to race. Seemed like fun so my parents signed me up and I raced a TRX90. Although Brown is always chasing the next great challenge he reminds our readers that if you want to go pro always put your heart into it and do everything you can. For all riders whether you are racing or just playing he says remember to always have fun! Thomas Brown will be looking to battle at the front of pack for an overall spot on the box. Dirt Wheels: Which track is your favorite to race and why? Which is the most challenging? Brown: My favorite would be RedBud. It’s a super fun layout that gets really rough. I enjoy the challenge. The hardest ace track I have raced is Unadilla. It’s an easy track but to ride, but it’s a really hard track to go fast on because the track is already so fast to begin with. I would say the most challenging and fun tracks I’ve ridden is Chad Wienen’s private track in Illinois. Between the jumps and the lay out its one of the most technical tracks I’ve rideen, which is what makes it so fun. Jeffrey Rastrelli and Thomas Brown have been battling throughout the season to hold onto third place in the Championship points standings. These CST riders love to be challenged, but they have to be prepared to conquer those challenges. We asked them for tips that will help all our readers conquer challenging rides and races for themselves. Dirt Wheels: You are a CST Sponsored Athlete, so which tires do you prefer and why? Brown: I prefer the Pulse MXRs. I switch between the yellow and white labels depending the track we are running. (different compounds for different tracks) The tire has great forward traction and the front and rear both have amazing side traction through the corners. Tire choice is HUGE according to Brown. “Tires are the only thing that is supposed to touch the ground while racing. There is a huge difference in a good and bad tie. It could make or break a set up. I tested the CST before signing on with them and after the test I felt confident on CST being a part of my program.” He told us that a fresh set of CST tires makes the biggest difference when he rides, to ensure he has traction when he needs it. As far as other prep goes, there’s a lot of mental and physical forethought that goes into racing. 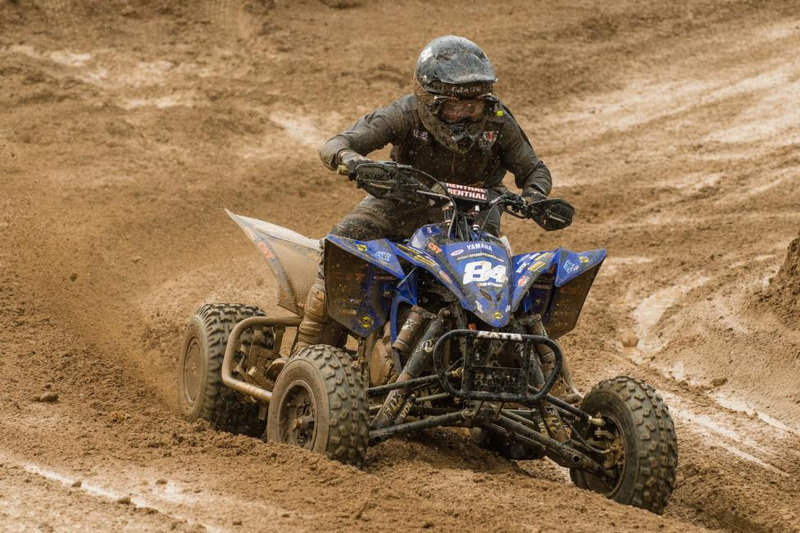 Dirt Wheels: How do you prep your machine for a race? How do you prep yourself, both mentally and physically? Brown: To prep my machine, I go through the bike completely after each race and replace any worn parts with new ones and check all bearings. The motor gets a new top end every other race to ensure the best performance and reliability. To prep myself I try to ride as many days as possible without my body getting too sore and split my off-bike training between bicycling and running. For me the best way to be mentally prepared is to know I worked harder than my competition to be ready. 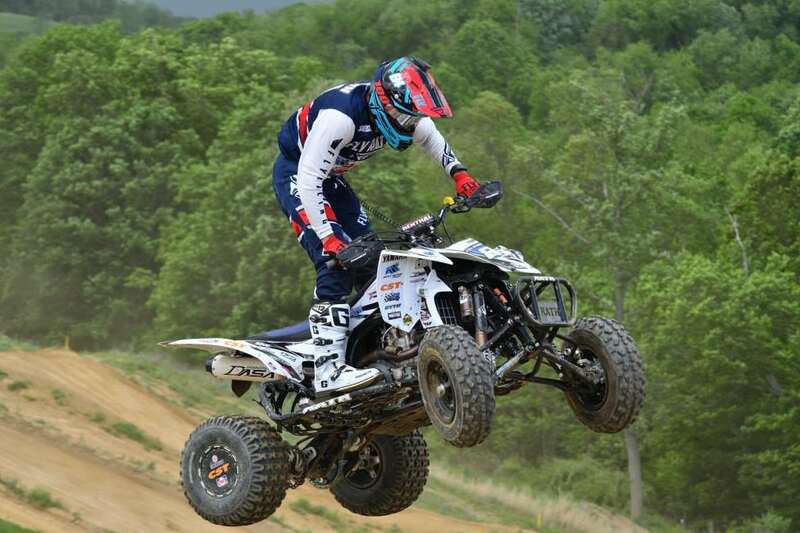 Thomas Brown earned his first win at RedBud MX, and is looking to earn his second win of the season this weekend. To find out more about Thomas Brown, visit his CST Athlete page. 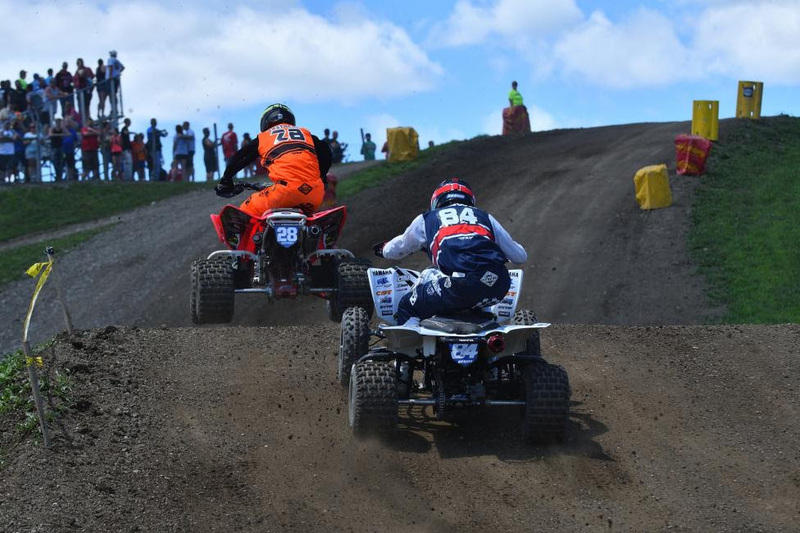 To find out more about his races check out the ATVMX broadcast schedule and check back here on Mondays for our weekly Race Reports.